Veteran and Active Duty Military Specials! Our application fees are waived for all veterans or active duty military personnel. Call our office today for details! At Turtle Creek, each of our one and two bedroom apartment homes offer spacious, open floor plans. Our large living rooms provide several options to arrange your furniture and each feature French doors leading to a private patio or balcony. 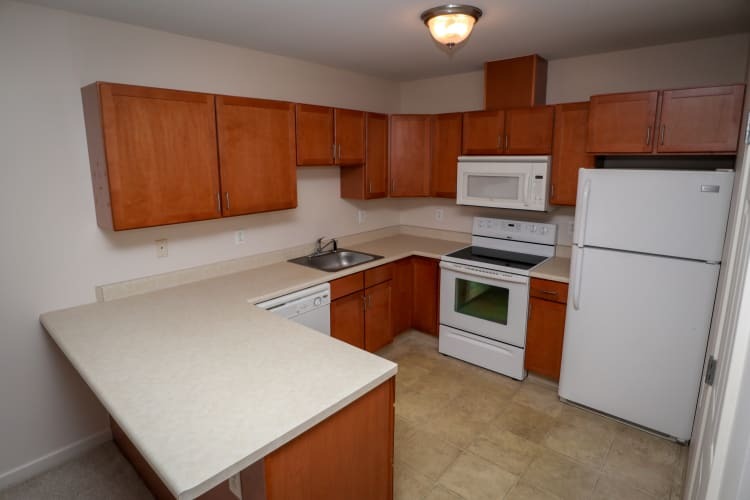 Our fully equipped kitchens feature maple cabinetry and ample counter space. Each apartment is finished with neutral colors to allow your personal style to shine.